If you are ready for going outside and are worried about a cold head then you should check out this blue Tardis beanie hat. 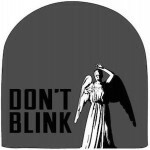 The Doctor Who winter hat is made from 100% acrylic and is officially licensed. The beanie hat has rows of different blue colors from the lights blue on top to the darkest blue on the edge and in between the rows there is black like. On the edge of the hat you can see a Tardis police box in blue and white and on top of the winter hat you can find a dark blue pompom. 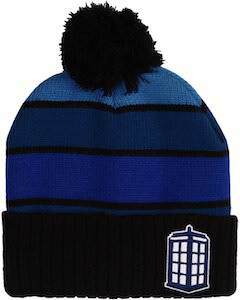 No more worries about getting cold outside because the Tardis will keep your head warm.